At boasts a large and experienced, multidisciplinary engineering design team including Software, Electronic, Aviation, Mechanical Engineers in addition to communication specialists and gifted electronic technicians. As a manufacturer on the leading edge of the design and development of technology solutions for more than 30 years, AVI has an established reputation for innovation and continuous improvement. Building for harsh environments requires harsh design, manufacturing and testing standards. AVI employs these standards with innovative manufacturing and assembly techniques to ensure the performance and reliability of all custom, Military Off-The Shelf (MOTS) and Commercial Off-The Shelf (COTS) products. AVI’s manufacturing campus in Booragoon Western Australia houses an end-to-end facility, from robotic sheet metal turret machines, CNC seals to custom assembly and testing labs. AVIs metal machining is all conducted in-house by a team of highly qualified and experienced machinists. Using a bank of newly commissioned HAAS vertical and horizontal CNC machining centres supported by Bridgepoint vertical CNC machines and Trimos Measurement Systems AVI has extensive capacity to produce large production runs in short timeframes. AVIs electrical assembly is undertaken in a separate on campus facility which includes industrial clean rooms and specialist assembly and testing facilities. AVI specialises in the installation of mission critical audiovisual and communications solutions in complex environments. Our team has experience in the deployment of cutting-edge solutions in culturally significant buildings such as Parliaments and Courts of Law, vital assets such as air and seaports and in the most inaccessible locales. We have a building, electrical, cabling and security licences that enable our installation multi-disciplinary teams to manage virtually any challenge. Our team members hold a range of security clearances, licences and industry and vendor endorsement/certifications. 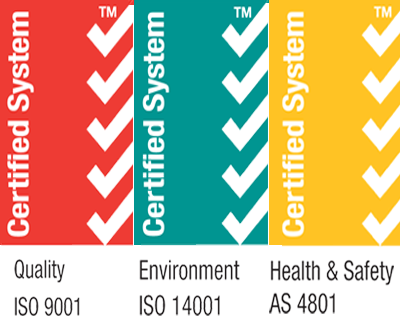 They are backed by ISO 9001 (management systems), 4801 (safety and health) and 14001 (environmental)-certified systems that have been developed and refined through out or 29-years of operation. As part of our installation services, AVI offer clients full integration services Our highly trained and experienced integration team can integrate AVI products and third party products with clients proprietary systems ready for deployment. We also offer a range of ready to deploy options across most of our product lines. AVI provide world class support that few can match. Our long history of supporting clients in remote, international and critical environments has enabled us to develop robust systems and deep appreciation of our client’s specific needs. At the core of AVIs customer support capability is AVIMS, the AVI custom designed client support management system which enables all email, phone or web logged service requests to be managed to performance standards in line with SLAs, incorporating escalation and resolution procedures. Clients get quick and direct access to a team of specialist support personnel including engineers, maintenance technicians, supply and trainers who know and understand their project, who have the access to relevant documentation and past service activities. With the support of this team and AVIMS, AVI is able to assist clients in effectively planning routine maintenance and upgrades to most cost effectively manage their projects. All AVI are products supported by multiple levels of training which can be delivered in-house, on-site, online (some topics) and at AVI offices throughout the world. AVIs in house training team includes multiple University and Certificate IV TAE instructors in addition to a number of dynamic and experienced demonstrators. Full training documentation can be provided for all levels of training provided. To ensure that AVI consistently achieves the highest safety, environmental, management and quality performance standards, the company has achieved and maintains certification to ISO9001, AS4801 and ISO14001 since 2000. The result of the most recent surveillance audit by SAI Global in 2017 demonstrates that AVI is successfully maintaining target quality standards with nil non-conformances.